Brewery – Castle Island Brewing Co.
Come visit our Norwood Brewery & Taproom to see where it all started. Wanna check out a tour? Sure thing. Care for a pint? We got you. Snag some beer to bring home? Done and done. 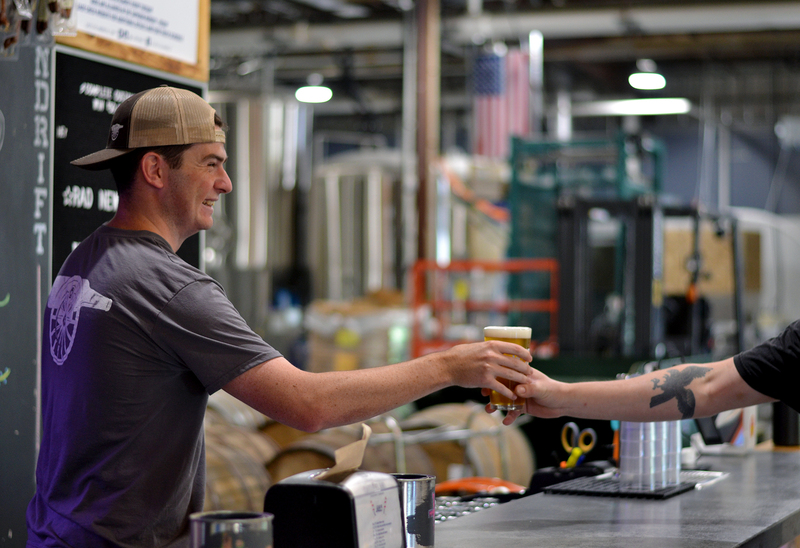 Our taproom features 16 lines of the freshest Castle Island beer anywhere, set in an industrial-yet-cozy beer hall environment, complete with communal tables, board games, and a warm, welcoming staff that’s eager to pour you a delicious pint. We receive a ton of logistical questions from folks about the taproom, so we figured it would be best to share them (and the answers) with the lot of you. Check out our FAQ Page here! Last call is half an hour before closing. We’ve added growlers to our retail menu, so Castle Island beer can now be taken home in either a 32oz or 64oz format (or both!) in addition to cans and bottles. Growler prices are listed on our taproom menu, and will vary depending on what growler size you’re filling and which beer is going into it. If you’re purchasing one of our growlers for the first time then the glass itself costs $3 (plus tax) for 32oz growlers or $5 (plus tax) for the 64oz size. Once purchased, this glass is yours to keep forever and to refill whenever you like at our taproom. We will provide, free of charge, new growler caps that fit the standard 38MM diameter mouth to maintain the highest possible quality. We only fill containers that have actually been manufactured for use as a beer container, and that clearly indicates its volume. The glass must be free of any branding (unless it’s a Castle Island growler, of course), and it additionally cannot have any stickers, markings, or tags on it in order for it to follow the guidelines put forth by the MA ABCC. To ensure quality, growlers cannot be partially filled. We reserve the right to refuse growler fills if the growler is dirty, chipped, or displays any other sort of imperfection. Growlers must be brown, translucent glass so we can easily view the liquid level and ensure freshness. Growlers that aren’t brown glass, are stainless steel, or are any other sort of opaque container will not be eligible for fills. For Castle Island branded growlers, we also reserve the right to refuse filling any growler that is deemed not clean as we do not want to compromise your enjoyment of our beer. Since we do not have the equipment or bandwidth currently to clean growlers, we ask that you purchase a new growler if the one you have in hand doesn’t meet our standards of cleanliness. For any questions as to which beers are available for growler fills, you can check our online and taproom menus or you can follow us on Facebook (/castleislandbeer), Instagram (@cibrewing), and Twitter (@cibrewing) for any brewery updates. Everyone loves a good party. Check out these upcoming events for your chance to come get down with us. Inquiring about a private event? Head here. Wondering how we pack all that flavor into our beers? Take a tour and we’ll tell you all our secrets. 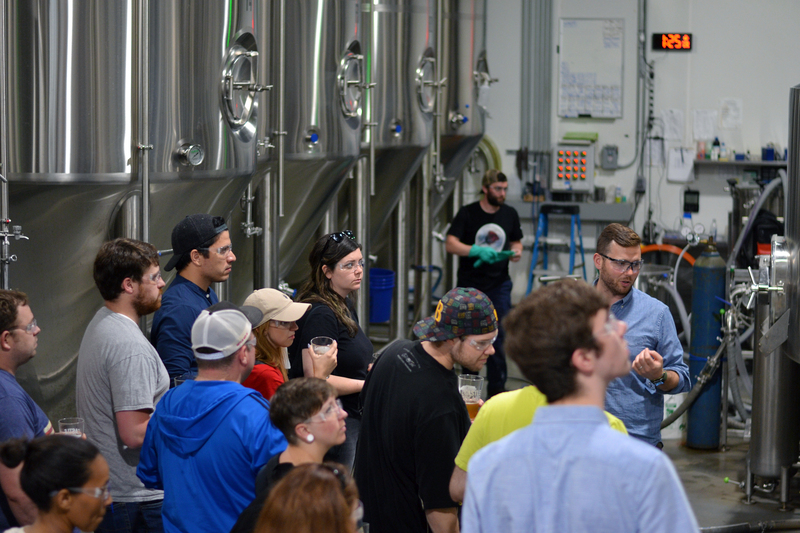 You can book a tour by emailing events@castleislandbeer.com. Just two notes before going on your tour: 1) closed toed shoes are required and 2) anyone under 21 years of age is welcome to join the tour with a parental guardian.